Starting sixth, Schumacher got a rather mediocre start and was passed by a couple of cars on the run down to the first corner. He then hit the back of Thierry Boutsen’s Ligier, damaging his front wing, and had to pit for repairs. Despite dropping to the back, he managed to recover to finish an impressive third, 24 seconds behind race-winner Ayrton Senna and just seven seconds behind teammate Martin Brundle. 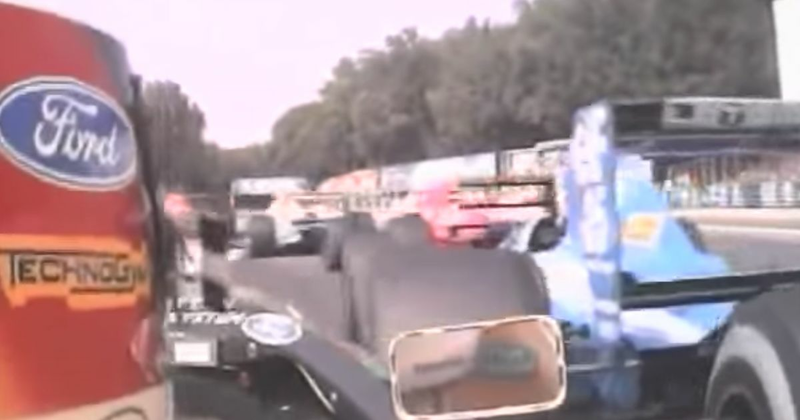 This 15-minute video takes all the highlights of his drive, including the scary pit stop for a new front wing - not because anything unusual happens, but because of how crazily packed with people the pit lane is, despite there being no speed limits back then. Another memorable moment is his brief battle with Gerhard Berger (who’d started from the pit lane in his McLaren. Michael obviously wasn’t happy with some of Berger’s driving and flipped him the bird when he pitted.